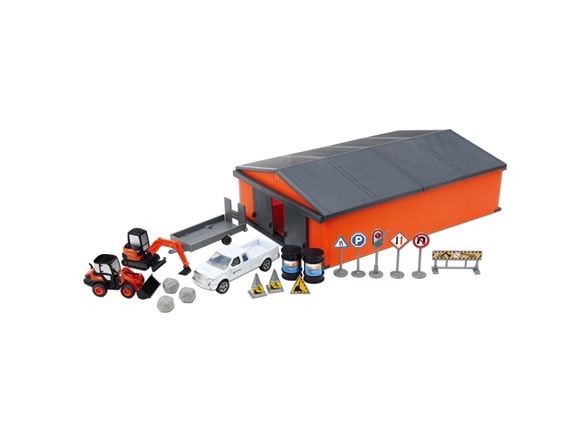 Load up your Trailer Bed with an Excavator or a Loader for your Construction Job with this Kubota Construction Machine Shed Playset. The Machine Shed is a great place to Store your Vehicles and Signs when not on the Job. Set Complete with Road Working Signs and Barrels.